Click on title of post to view photo in large format: Local legend says that this geologic formation in southern Serbia was created when a furious God turned a wedding party to stone. 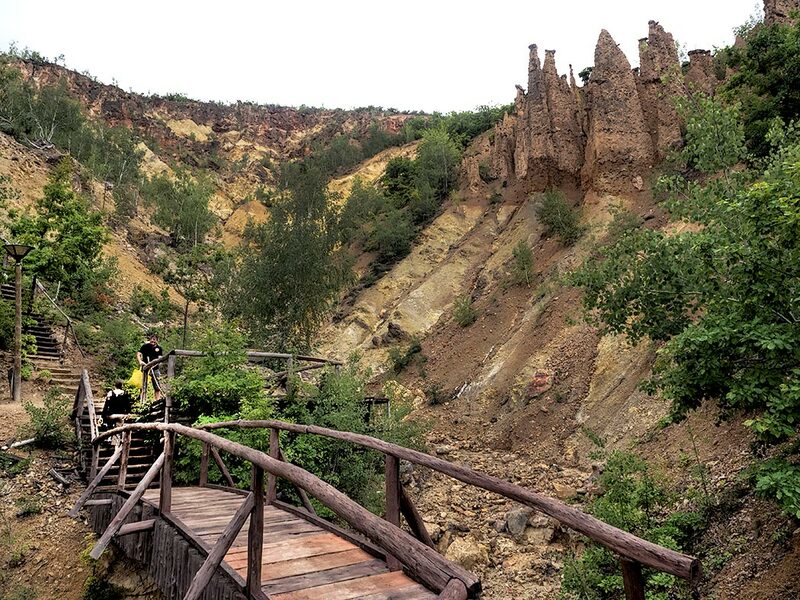 Known as Devil’s Town, the spires are formed when softer volcanic tufa that lies below a hard layer of andesite rock is eroded by wind and water. Known as “hoodoos” by geologists, there are currently 202 of these pyramids at Devil’s Town, however the count constantly changes as new ones emerge and existing ones erode away. especially how did the andesite got there in the first place . i will be glad if you can answer as fast as possible. I’m sorry Hod, but I have no idea how it formed.